“During our 5 days together you taught me the key elements of the golf swing and given me the confidence to begin enjoying being on the course. For this I was always be grateful to you and in your debt. Well thanks to our work together I was 4 up after 9 holes and though he won holes 10 and 11 before we quit to see the Ranger hockey game, there was no question that my game had improved big time”. 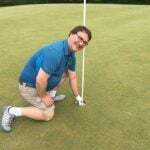 It has been two years since my first Bird Golf School. In that period of time you have helped me improve from shooting rounds in the 130’s to breaking 80 (78) for the first time. I cannot express to you all how grateful I am for all your help and the true dedication that you have to teaching. People at my club are always commenting on how good my swing looks and how it was that I have improved so quickly; and I tell them “it’s all because of Bird Golf, their great golf school which exceeded expectations in every way and make them, without a doubt, the best golf school in the world”. See you again soon (now I want to get into the 60’s!). We’ve returned back to the east coast safe, sound, and swinging much better after our experience at your golf school. Certainly we were pleased with all aspects of the golf school including the resort and your attention to detail and customer satisfaction. What was, however, well beyond our very high expectations was the quality of interactions with had with Sharon (Miller). Her ability to communicate and relate to us (as two very different learning types, at two very different abilities) was incredible. She was able to capture and sustain our complete interest and involvement for five FULL days while making it fun, deeply enriching, and highly educational. 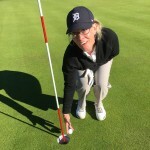 We WILL return to the Bird School when it’s time for our next golf school experience – simply put – because of Sharon. See you then! I would have to say that our latest school was the turning point in my game. 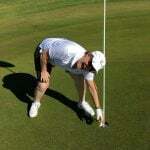 I shot some great golf in Houston last week and have gained about 15 yards a club. I have also stuck to the yoga stretches that Kelly showed me and they really help. Thanks again for your time and for putting on a third great golf school. Brian and I wanted to send a short note to you and Jim about the three day Bird Golf Schools session we attended last week. After you and I first talked on the telephone about what to expect, I must admit I came to the school with high expectations. If anything, those expectations were exceeded. First, you may recall I am a 9 and my son is a 16. I have played for years whereas he has taken up the game in earnest in the past few years. Despite those differences, Jim Samsing was able to customize a program that fit our different swings and personalities, and do it in a way that was fun. I have a better fundamental understanding of my golf swing now than ever before. I am sure that is true for Brian as well. In fact, he just called this afternoon from the Bay Area thanking me again for the golf school and reporting that he just shot a career best of 37 on the front nine. Second, the “clear key” mental approach to the game that you teach is a real differentiator from the other golf schools. How many times do people say, “golf is such a mental game”, and yet how many people have taken a mental lesson? The player and personality profiles that we filled out beforehand, I am sure, helped Jim tailor our lessons. Finally, the facilities were outstanding. To be able to go from the driving range, to the chipping/putting area, to the Executive course, plus be able to play a championship 18 hole course all in one location is a real plus. Conversations at the 19th afterwards were also high on our list. I have already recommended Bird Schools to several of my friends and I know Brian has done the same thing. Feel free to use this unsolicited testimonial in any way you would like. Based on our experience, most golfers would benefit enormously from your school, especially if Jim Samsing is the instructor. Click here to learn more about our Arizona locations. Hope all is well. Thought I would touch base and provide an update on the state of my golf game after the instruction I received from you earlier this year. For various reasons, I did not manage to get practice or play for about three months after attending the golf school. Consequently, the start of my golf season was at the end of June on a guy’s golf trip. All I had right before going on the trip was 80 minutes on the range to find a swing (any swing!) and the notes I took during our time together – no putting or short game practice which had been the focus of our sessions. Suffice it to say, I was disappointed I had allowed 3 months to elapse and to dull any mental and muscle memory I had acquired. My expectations were low and I warned some of my buddies not to expect seeing any improvements as I hadn’t practiced. Well, to my surprise and that of my buddies (based on their chants of “sandbagger” which I accepted with pride), my notes and recollection of our various conceptual discussions were enough to produce a very obvious improvement and newfound consistency in my putting and short game. It also saved/made me a chunk of money from a “three-putt” game where I have been consistently picked on over the years. Right after that trip, I joined a golf club in order to begin practicing/playing in earnest. Well, in less than two months, I have taken a 15.8 handicap factor and brought it down to 6.1 as of today. In that short span of time the improvement in my game/scores caught the attention of my friends, club members and club staff. 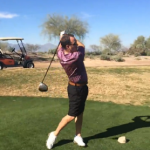 Naturally, everyone who has seen the strides I have made are curious how I improved so quickly and consequently, your name, Bird Golf Academy and the teaching philosophy have come up quite a lot over the past couple of months! Anyways, I just wanted to thank you again because while I always believed I would see improvement from your instruction, the speed and extent of that improvement has been unexpected. Having confidence that I have a better understanding and practice tools to improve my game has really elevated my enjoyment of golf. I apologize for this note being 6 plus weeks after our session with Shirley but I wanted some time to practice, play a few rounds and in general, assimilate (Jay, ask Shirley, she’ll know why I used the work assimilate and she’ll probably laugh at the word, I hope so) all the instruction and information Shirley provided to Amy and me. If I had to use one word to describe the experience and value we received from the week with Shirley it would be AMAZING. The accommodations? Excellent. The golf facility? Fantastic. Shirley? Priceless!!! Frankly we could have played on a cow pasture and stayed in a tent and Shirley still would have made the experience amazing. It truly is a treat to spend time with someone that is beyond knowledgeable, truly loves what they do, great personality and fun to be around, and can share their knowledge in such a way that you are not intimidated to get out of your comfort zone by trying sometime different. In my bio to you I mentioned I was looking for fine tuning of my game for better scoring – specifically long irons and wedges. Early on the second day, Shirley approached me with an option that she could provide some fine tuning but based on what she had observed and through watching video, she would recommend something slightly more than fine tuning… more like rebuilding my swing. Shirley completely made the decision my choice. Based on the limitations that I knew about my swing, Shirley’s advice and the video, it was an easy decision to rebuild a swing 35 years in the making. 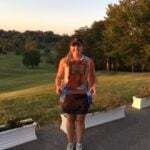 An easy decision but not so easy to implement so it’s a good thing Shirley is extremely patient… I left at the end of the week comfortable with the knowledge I knew what I needed to do improve my golf game. Fast forward a month; my rounds have been 86, 82, 84, 78, 75 and 82. As I’m becoming more comfortable with the new swing and not over thinking things, my ability to consistently hit much better golf shots is improving. I’ve no doubt I should be able to stay in the 70’s consistently. This level of improvement was exactly what I was hoping to get from my experience with Bird Golf. Thank you Shirley! You may also recall that Amy is an occasional golfer that wanted to learn the fundamentals of the game. Because of Shirley, Amy is now more than an occasional golfer! I can easily imagine that this one week of golf instruction saved a decade of frustration with the typical learning curve of periodic lessons, playing, getting frustrated and them more periodic lessons from someone different than who you started with and who probably provides contradictory information which just adds to the confusion and frustration. We thoroughly enjoyed the week! I wanted to let you know what a phenomenal week I had in Miami at your school. Amy Benz was my instructor, and she over exceeded my expectations providing me with professional and expert guidance beyond anything I could imagine. I have been playing golf for about 25 years and have had instruction. However, if Amy had to say something 50 different ways for me to catch on, she figured it out. I left Miami with a solid grasp on golf fundamentals. More importantly, I left with tools to fall back on, when my game (inevitably) goes to pot!! I plan to attend the school again, probably next February in Phoenix. I will be requesting Amy, and I can’t wait to have another go at improving my skill set! Thanks for crafting such a great training concept, for hooking me up with Amy, and for your amazing follow-up prior to my signing up. I own a catering company, and in my world it is all about details. Clearly, we are philosophically on the same page. Can’t wait to see you all next year. Nancy and I had a wonderful 4 days in Pinehurst with Mary Mills. The entire experience far exceeded my expectations: Mary was FANTASTIC. We liked her immediately, and were impressed by the depth of her knowledge, her ability to communicate, astute critiques of both of us, and her continued passion for the game. She was professional and efficient with time, demanding in a good way, and at the same time good fun. She was friendly and encouraging. You have a gem of a teacher in her! Thank you so much for all the work it must take to run your fine operation; I will highly recommend Bird Golf to everyone.